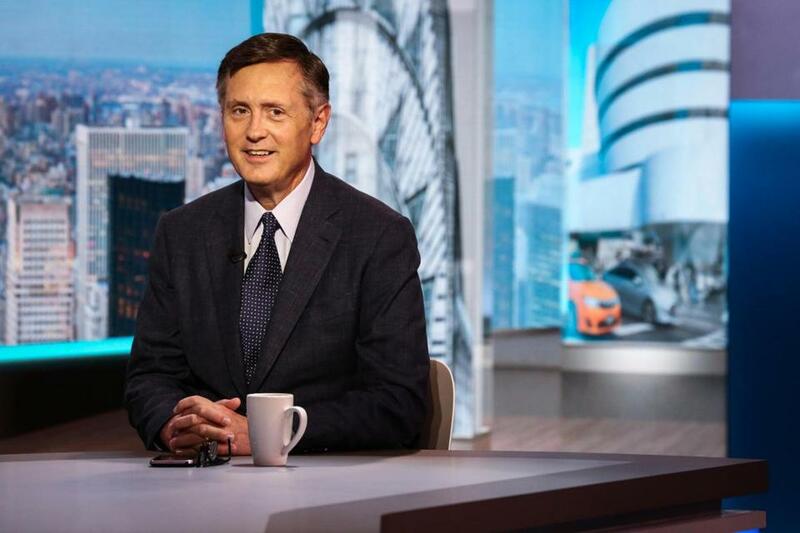 Richard Clarida is the global strategic adviser for Pacific Investment Management Co.
President Trump announced his intention to nominate Richard Clarida, a respected economist and Pacific Investment Management Co. global strategic adviser, as vice chairman of the Federal Reserve. Trump also announced his intention to nominate Kansas State Bank Commissioner Michelle Bowman as Fed governor representing the interests of community banks, the White House said Monday. Both selections, which were first reported by the Wall Street Journal, are subject to confirmation by the U.S. Senate. If confirmed, Clarida, a 60-year-old Harvard alumnus, would bring a mix of skills to the job of the central bank’s number two alongside Chairman Jerome Powell. These include knowledge of financial markets gained during more than a decade at asset manager Pimco, to insights into how Washington works from his time at the Treasury Department under President George W. Bush. A long-time professor at Columbia University, he would replace Stanley Fischer, who stepped down as vice chairman in October. Clarida will join the Fed as it pursues a gradual series of interest rate hikes and a reduction in its bond holdings under the auspices of Powell, who took the helm of the U.S. central bank in February. Powell said in a speech earlier this month that the outlook for inflation and employment support further gradual interest-rate increases. The vice chairman plays a critical support role for the central bank’s leader, and often heads special projects at the request of the chair. Along with the president of the New York Fed, who acts as the central bank’s eyes and ears on Wall Street, the deputy typically forms a key voting bloc with the chairman on both policy and strategy. Since 2014, Clarida has led Pimco’s annual secular forum that brings in former policy makers and other high-powered outsiders to help the Newport Beach, California-based firm decide how to manage its $1.75 trillion in assets. He was an early progenitor of the so-called ‘‘new neutral’’ concept championed by Pimco that argues that equilibrium global interest rates -- ones that neither spur nor stifle economic growth -- are significantly lower than they were in the past. In a Dec. 13 Bloomberg Television interview, he reckoned that rate in the U.S. is now closer to 2 percent than to 3 percent. Fed policy makers, in contrast, peg the neutral rate at 2.9 percent, according to the median projection of officials in March. He saw a chance in that interview that the Fed could raise interest rates four times this year and that inflation could eventually overshoot the central bank’s 2 percent target, though he said that was not his base case. Besides dealing with the financial aftershocks of the attacks, Clarida also helped formulate the Bush administration’s response to the Enron Corp. and WorldCom Inc. accounting scandals. He left his post as assistant Treasury secretary for economic policy in May 2003. A graduate of Harvard University in 1983 with a PhD in economics, Clarida has concentrated his academic research on monetary policy, currency exchange rates and international capital flows. He’s perhaps best known for his work on ‘‘dynamic stochastic general equilibrium’’ computer models that try to predict how the economy will react to shocks and changes in policy and which are widely used by the Fed and other central banks. Clarida has also done extensive research into monetary policy rules, such as those developed by Stanford University professor John Taylor, and their application worldwide. Clarida, who’s taught at Columbia since 1988 and once served as chairman of its economic department, also has expertise in currencies. In the late 1990’s, he helped Credit Suisse Group build an econometric model of the market. He also authored a 60-page paper on exchange rates after the Asian financial crisis. A self-described ‘‘avid, amateur musician,’’ Clarida plays acoustic guitar and bass and has a a studio in his Connecticut home.